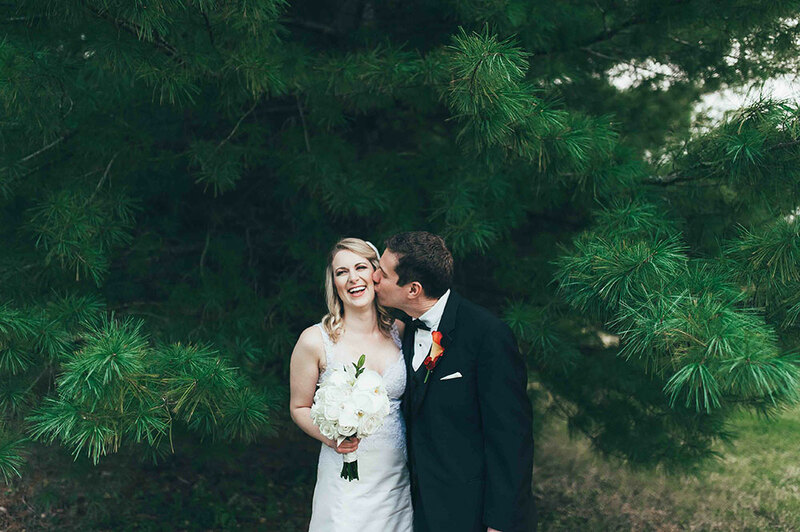 We are so lucky to get to work with so many amazing couples every year, and Kellie & Alex are one of our favorites! 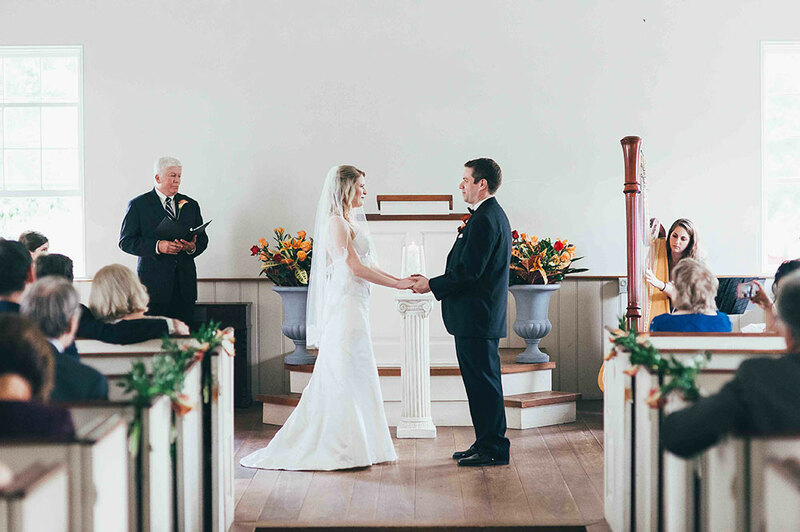 They both love good food and wanted to have their elegant Southern wedding style reflected in their menu. 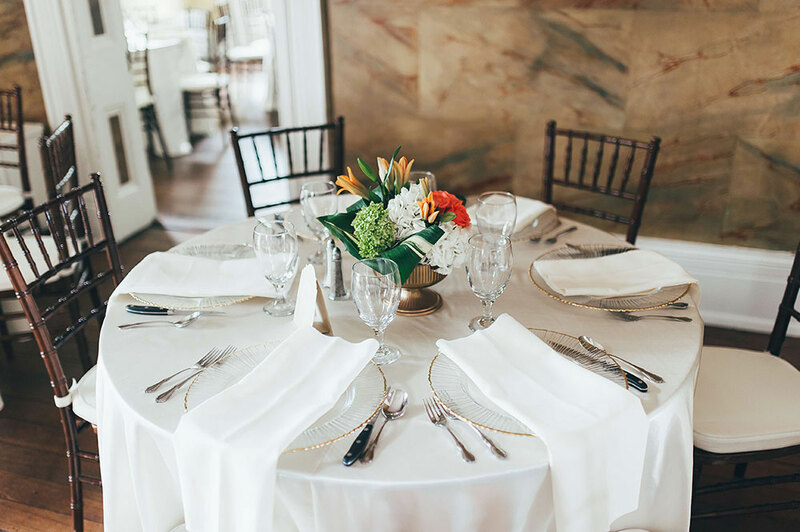 Since we tailor every menu to fit each couple’s style, food preferences, and needs, we could give them the exact wedding dinner they were looking for. Kellie & Alex were planning on a formal plated dinner, and really wished their guests to get a dinner that was filling and beautiful. We loved their ideas, and began working on a menu customized just for them. The couple and their guests were served a personalized and well thought out meal on the wedding day. We began by butler-passing three hors d’oeuvres: our Signature Shrimp & Grit Bites, Nashville Hot Chicken Spoons, and Vegan Black Bean Hummus Crostinis. With the bar open and guests sampling delicious appetizers, no one minded waiting for the couple and their family to finish taking pictures. That’s the best kind of cocktail hour! 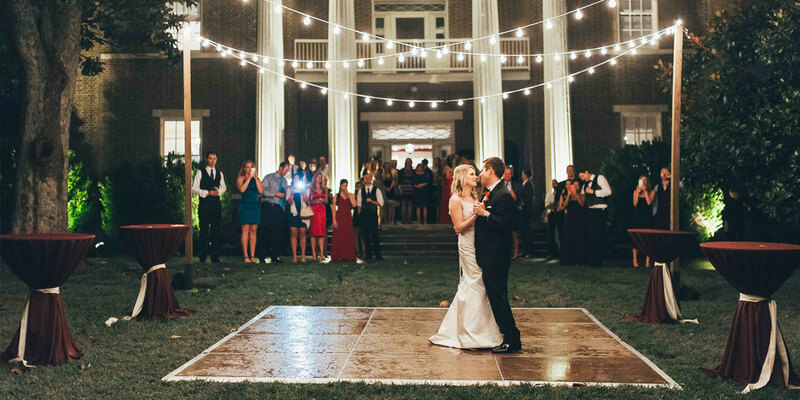 When it was time to move inside for dinner, guests found beautifully arranged tables. At each guest’s place setting was our Mixed Green Salad with sliced apples, blackberries, candied pecans, and our handmade Apple Sherry Vinaigrette dressing so that they could begin dinner. Once guests finished their salads, dinner was served. Kellie & Alex opted for a dual entrée plated dinner, which meant that each guest was served two proteins instead of having to choose on their RSVP card. This is a great way for everyone to get to try all of the food offered! 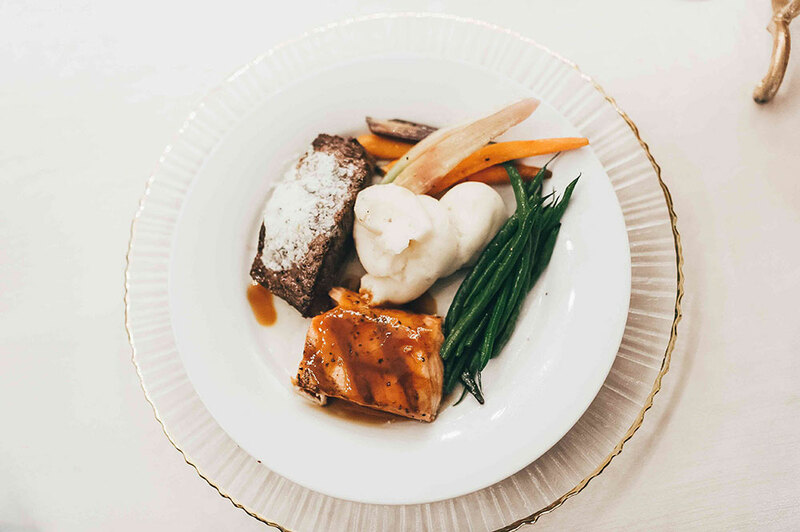 Each dinner plate served to the table by our experienced staff included Smoky Grilled Salmon, Pan Seared Flat Iron Steak, Asiago Herbed Mashed Potatoes, and Roasted Rainbow Carrots & Broccoli Rabe. The lead up to weddings is so fun! We get to know the couple, see their venue, and enjoy how excited they are to get married, but we are just as excited about preparing their food. We start the same way for every event we cater; we begin sourcing fresh ingredients for every aspect of the meal. When it’s possible, we’ll even hunt down local ingredients. We know that the best flavors come from food that is as fresh as possible, so we want to make sure we’re starting out right. After that it’s time to cook! Hours in the kitchen are spent dicing, chopping, boiling, and pouring attention and effort into every serving. Then, especially with plated dinners, we get to bring the couple’s specially chosen menu to each of their guests. Nothing feels better than watching their friends enjoy the food they chose and we prepared. 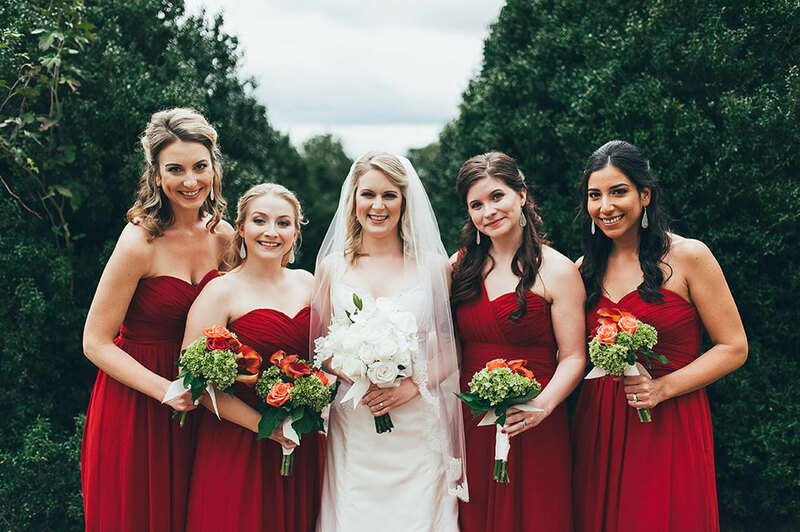 Being part of a couple’s big day is not something we take lightly, and we love every wedding we get to be a part of. Seeing how happy this couple was the whole night was amazing! We don’t serve the same seven meals in rotation, so couples who are looking for packaged meals are not for us. 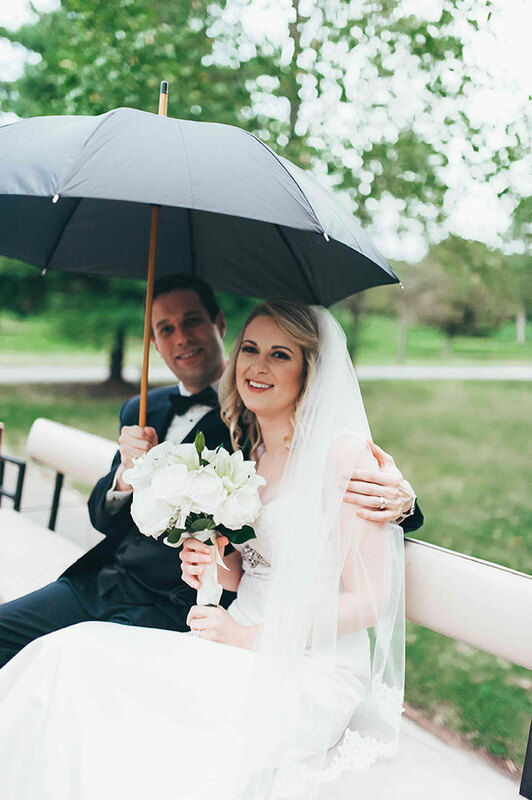 We love to work with couples who– even if they don’t know exactly what they want– are open to ideas. This allows us to create unique menus that not only feature flavors they love but that also utilize produce that’s in season on their big day. 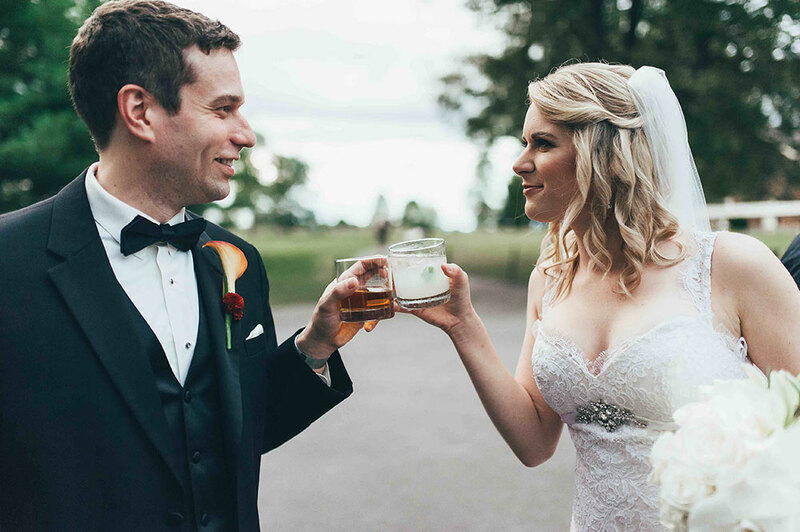 If you want a meal that’s as custom as the rest of your wedding, send us an email today! I like that you pointed out that it’s important for the wedding caterers to know what the bride and groom want, and what feelings they want their wedding to give people. I would think that it is important to find the right caterer that can offer a variety of food choices. My son’s wedding is coming up, and I’m trying to find the right catering company. I really like the presentation of the dishes. I think it makes a big difference in a formal event like this. You want to be sure you get all that you expect out of your catering service. I agree with Kenneth. The presentation of the dishes is so important, and they look great! All too often we get caught up in the food, and forget about the presentation, but the eyes are such an important part of the dining process, we really need to put more emphasis on them. You made some great points in this post! I think one of the most important things is finding a wedding caterer who really listens and will work with you. We interviewed several before choosing one, and many of them either wanted to do whatever they felt like, while others just wanted us to completely dictate everything. A good caterer falls somewhere in between I think, in that they listen to what you’re thinking, but makes awesome suggestions as well. The Sami’s Cafeteria is one of the leading Event Catering Company and organizers of Church Event Caterer services and Special Events Catering services in Houston‎, TX at affordable prizes.